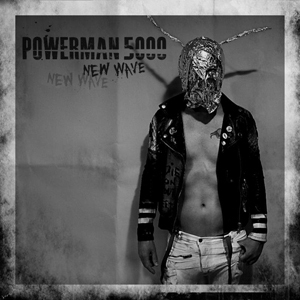 POWERMAN 5000’s legacy continues to push the boundaries of rock, metal, industrial, rap, and punk to create innovative and groundbreaking releases time and time again. Their upcoming highly anticipated album, New Wave, hits shelves on October 27, 2017, in digital and retail outlets worldwide. New Wave is PM5K’s eleventh official release since forming in 1992 and continues the strides and success from their platinum-selling album Tonight The Stars Revolt! to their most recent chart-topping single in 2014, “How To Be A Human”. While fans await New Wave, PM5K is releasing the single “Sid Vicious In A Dress” via iTunes. Fans who pre-order New Wave digitally will receive an instant download of “Sid Vicious In A Dress" to get a taste of what's to come. You can stream the song now below. Both iTunes and merch pre-orders start today, August 25, 2017. "Sid Vicious In A Dress"